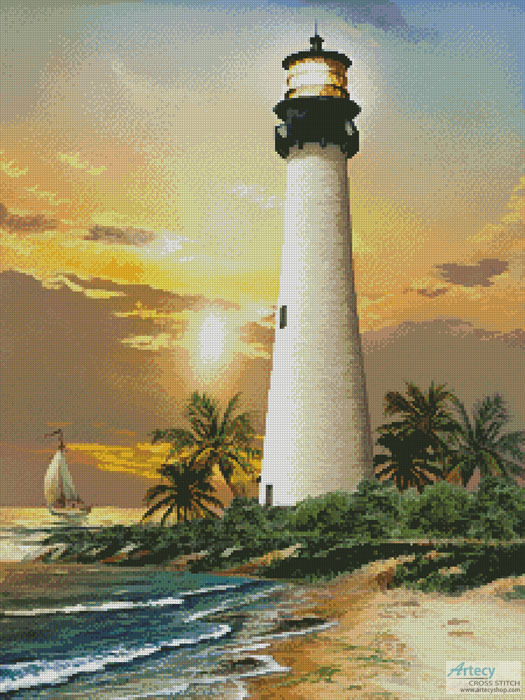 Cape Florida Lighthouse Cross Stitch Pattern to print online. This counted cross stitch pattern of the Cape Florida Lighthouse was created from artwork copyright of Thomas Wood. Licensed through Porterfield's LLC.